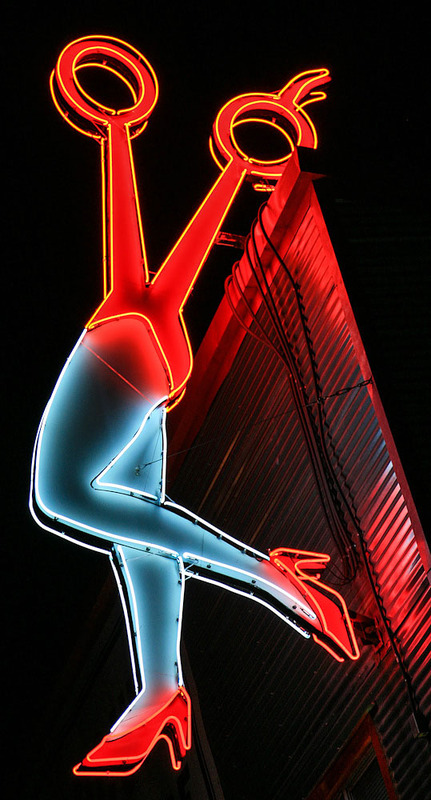 The Mooney Drive-in Theatre of Visalia, California not only features a fantastic marquee, it's still open! Drop by on any summer evening and join the throng of cars entering the driveway. Or else say hello to "Mr. Mooney" on the marquee. 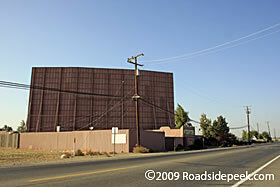 UPDATE 12/06 : The Mooney Drive-in Theatre closed for good on September 9, 2006 after being open since the late 1940's. 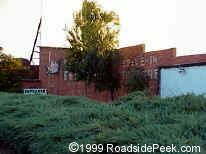 See more photos and information at Roadside Peek's Lost Treasures tribute to the Mooney Drive-in Theatre. 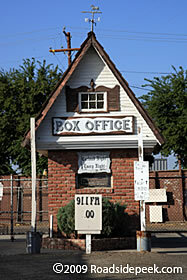 UPDATE 07/09 : The Kings Drive-in closed in October of 2012 after its summer movie season. 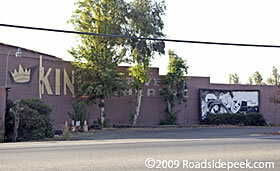 The drive-in is supposed to be torn down and turned into some retail shops.